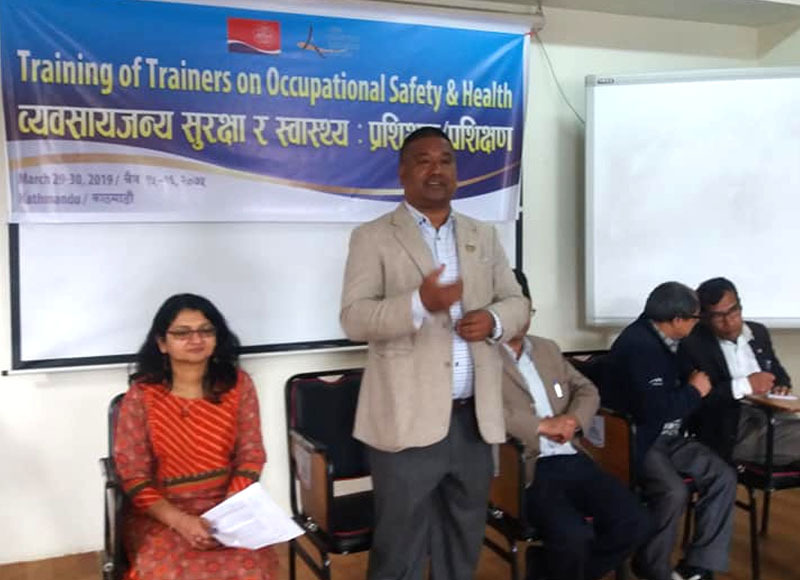 GEFONT has organized TOT training on OSH to the cement industries leaders on 28-29 March in GEFONT School. Inaugurating the training GEFONT president Cde. Binod Shrestha said "OSH is the one of very important issue in works life. "He further recalled the joint work of Trade unions has also started on the OHS issue. President further explains that employer only focus on the profit they don’t consider OHS as a important issue. 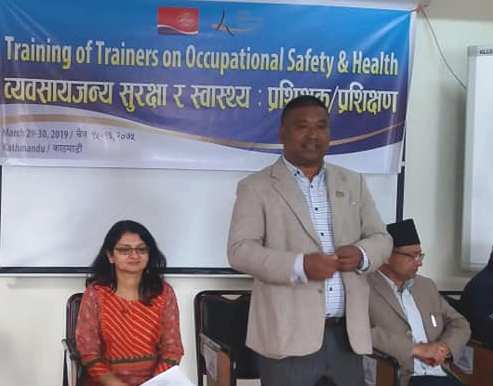 We have to convince them OHS is not the part of extra expenditure.He said "GEFONT has been organizeing various training to enhance capacity of the members. On the occasion, GEFONT Vice President Cde. Bidur Karki had informed about the importance of training. He further briefed about Lesson plan & session plan of the training. Two Days training has facilitated by AMRC Program Coordinator Ms. Omana Gorge & GEFONT vice President Cde. Bidur Karki. In the program 30 leaders from Cement Sector has precipitated.